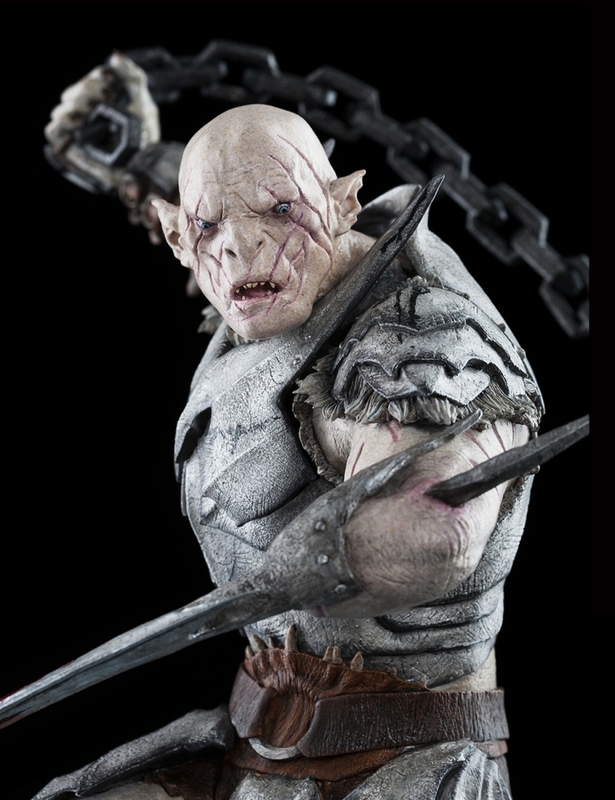 A huge and pale Gundabad Orc, Azog™ has ruled by will and might the northern tribes for many decades, leading them to victory in battles against their hated foes, the Dwarves of the line of Durin. 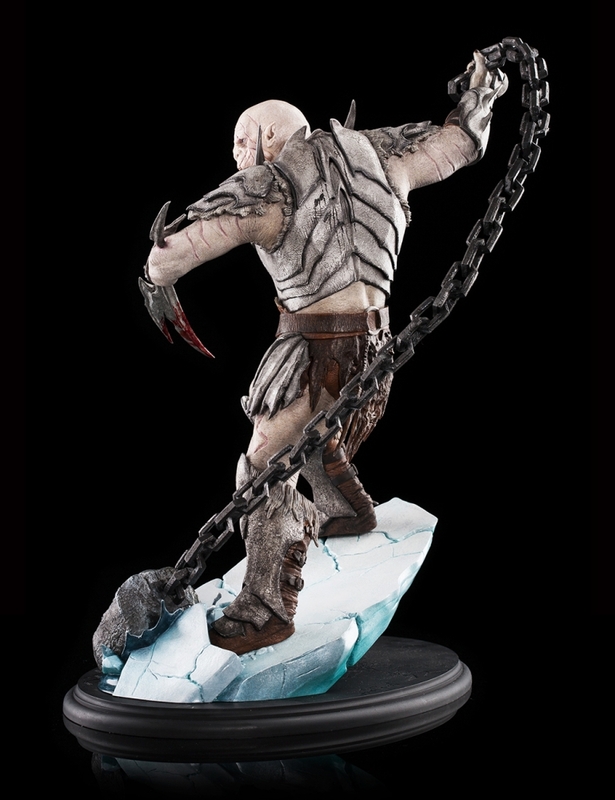 Outside the East Gate of Moria he beheads the Dwarf King Thror and comes close to killing his grandson Thorin, who repays the great Orc by cutting off his arm. 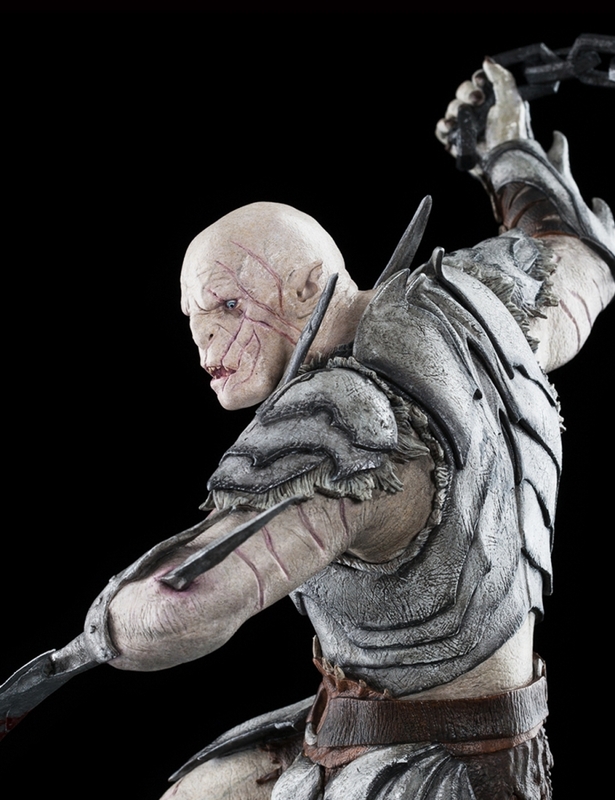 In the years that follow, little is heard from Azog and many come to believe him dead...but in truth, the Defiler lives on, recovering his strength. 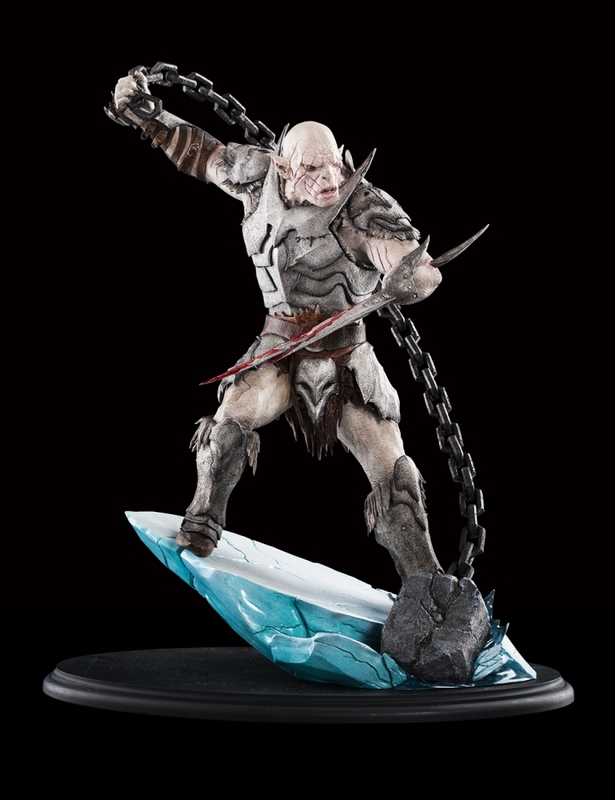 It is inevitable that it's between Azog and Thorin Oakenshield that the final battle must play out. 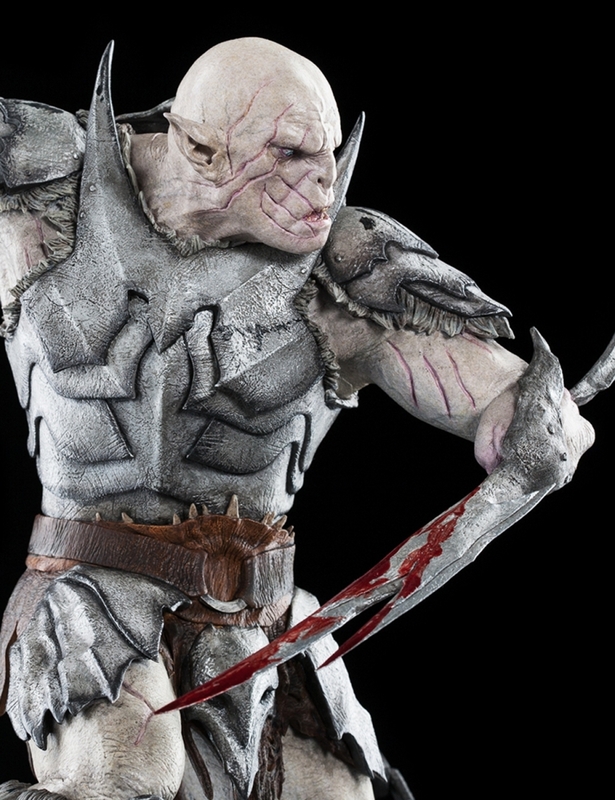 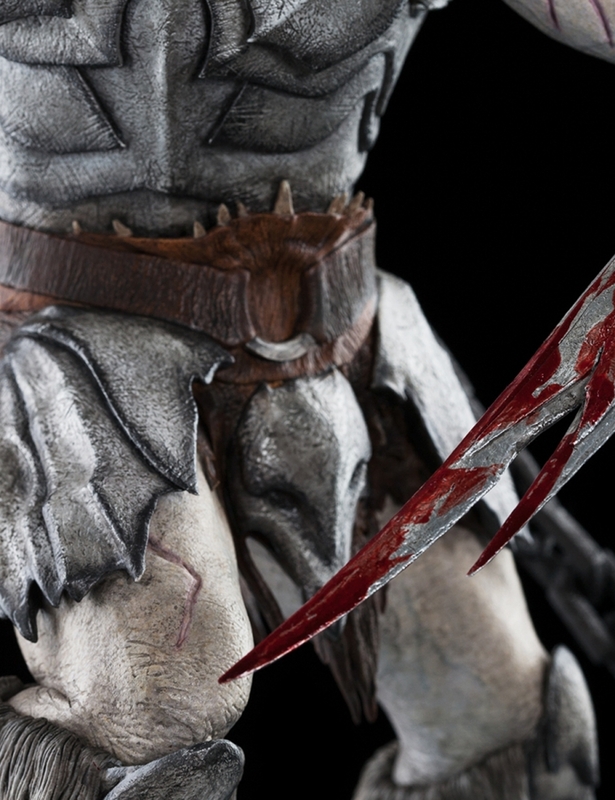 Standing over 17 inches tall, Azog - Commander of Legions is made in a Limited Edition of only 1000.